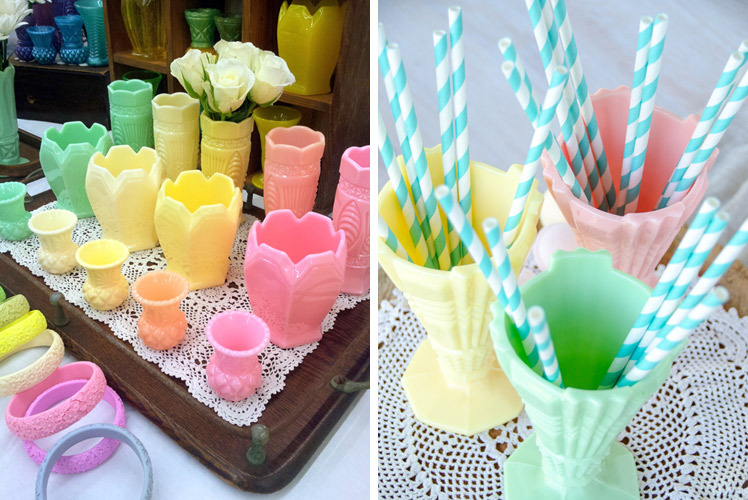 FK chats to Bronwen, of deliciously colourful resin homewares label, Bravo Juliet Designs. 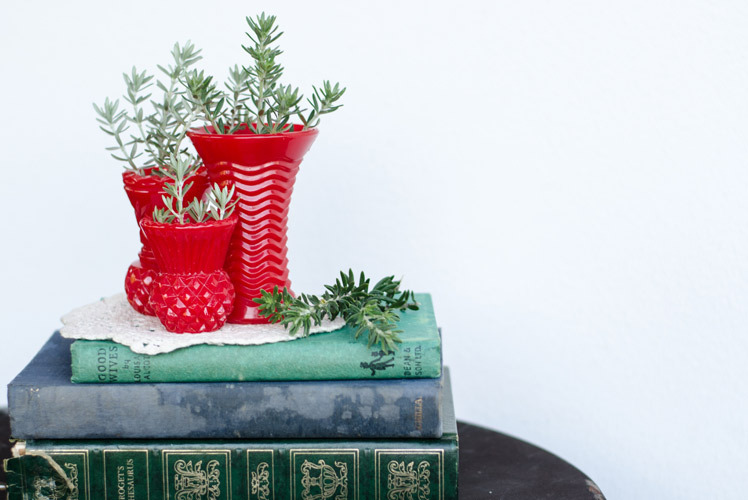 We can’t get enough of these vintage inspired vases! Tell us about your label Bravo Juliet Designs and what the concept is behind it? 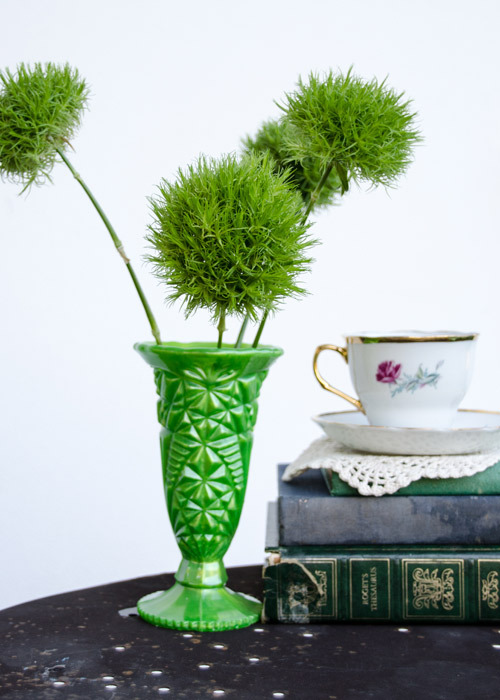 Bravo Juliet Designs is a range of vases, moulded from original vintage glass and poured in modern resin. 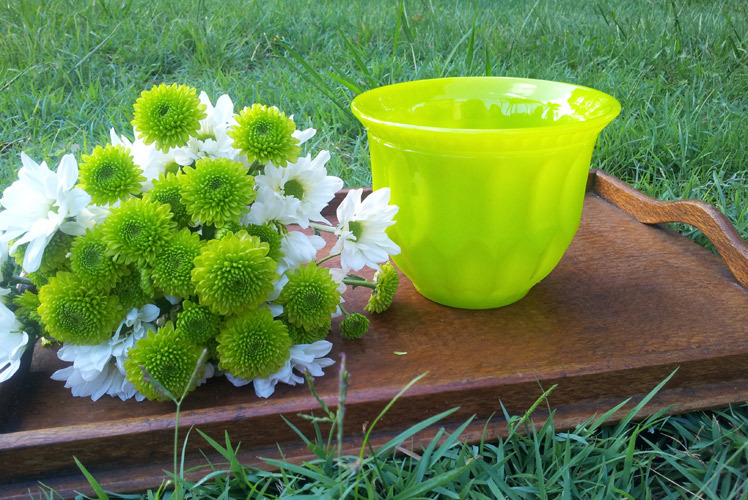 They are colourful, very usable vases that are perfect for everyday. Making vases started as a technical challenge to develop my mould making skills, but I soon realised that using resin not only made the vases colourful (my original aim) but also light and unbreakable. Now I am forever on the lookout for new sizes, shapes and patterns to add to the range. What is your background and how did you started working with resin? I have a degree in Forest Science, a Masters in Resource Science and over fifteen years’ experience working for the state government writing policy and management plans for protected areas. I have always had something creative bubbling alongside the science – I have always drawn, dabbled in sewing and have a certificate in botanical art. Resin vases and bangles are the latest additions to my creative side. I started working with resin after I saw some bangles made on a TV segment. That was five years ago, and I have made bangles through that time and vases for almost two years. I now teach resin workshops and have recently been asked to do an artist’s residency. I have always responded strongly to colour and patterns. It used to drive my mother crazy! I see how getting the ‘right’ green and ‘that’ yellow are important. I watch a particular colour get selected again and again at a market, and I know that others feel the same. 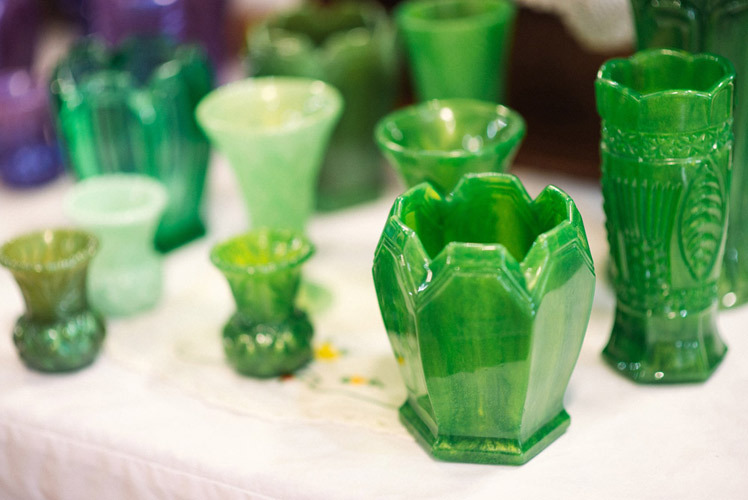 I am inspired by the diversity of patterns that I find in vases… it keeps me motivated to look for the next one(s)! I love to find different sizes of the same patterns and ones that are perfect for mis-matching together! Another motivation is the support of other crafters through local groups such as BrisStyle, as well as through communities like Instagram. I am so proud of all the great making that is going on here in Australia, and I love being part of it! My creative space is remarkably like my kitchen table… because it IS my kitchen table! I pour each vase on the dining table that my husband made from recycled floorboards. Those playing at home will spot our table salt, in many Instagram pictures! Each time we eat I clear it all away, except in market weeks when we have a lot of picnics! From that spot I can see the garden my husband and I planted together, neighbours walking to and from our local café and I can hear my music. If you believe that objects take on the mood and energy of the time they are created, there is a lot of Blondie, Billy Bragg and the Pogues in my vases! What do you love about working with resin? What are some of the challenges? Resin has a life to it. 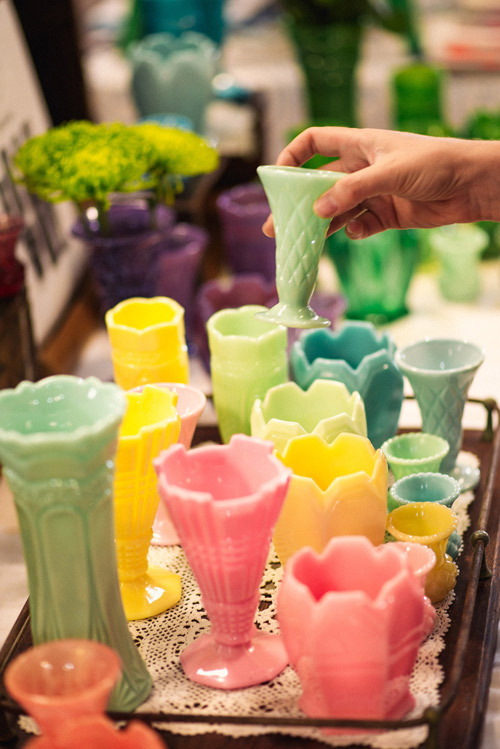 Bangles and vases made from resin are wonderful to touch and hold, as well as being colourful and light. 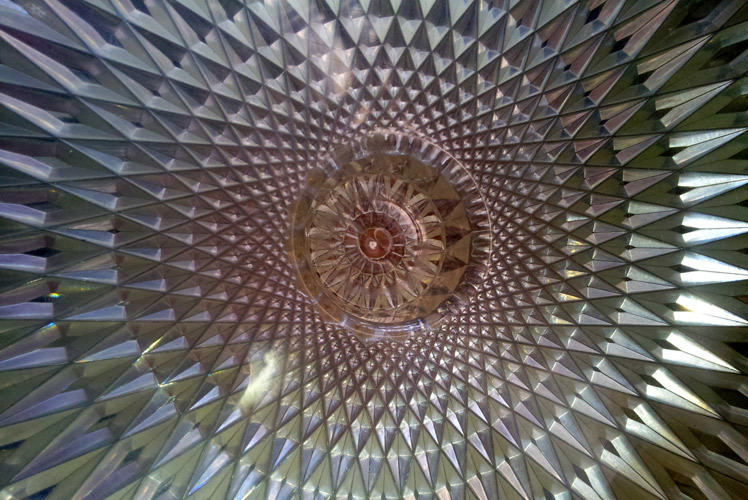 I love to work in three dimensions, which is different to the two, I use in drawing. Using resin requires patience, which is my greatest challenge in working with it! What new projects are you working on and where would you like to see Bravo Juliet Designs in the future? 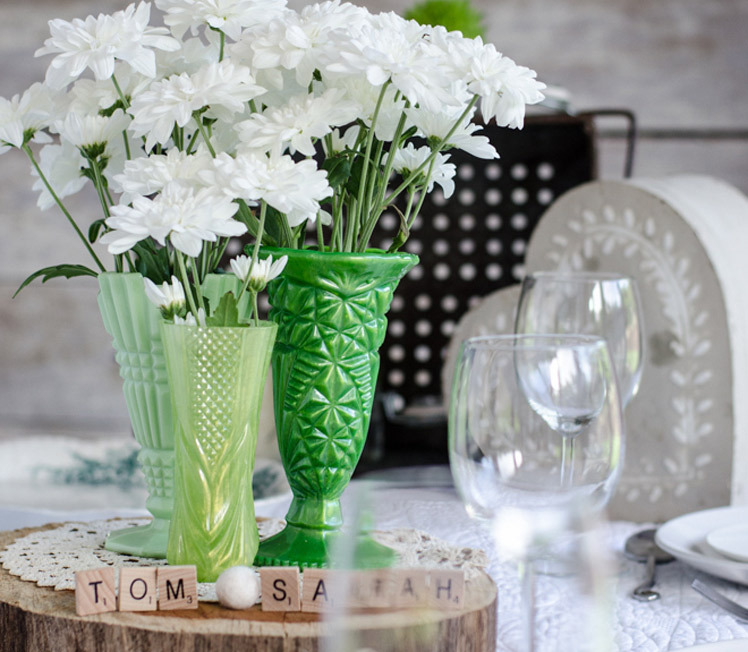 This year I’m going big – my focus is on larger style vases and bowls that are perfect for table centre pieces. This is in response to another new direction which is to make my vases available for hire for weddings and functions, an affordable way to have unbreakable, matching vases at your special event that you don’t have to store for all the years of your marriage! I will also be revisiting jewellery this year; the rims of some vases are just too beautiful not to be made into bangles!